Our planet is abundant with different resources, these could be utilized to generate power and manufacture products for the betterment of human being. There are many sources for generating power, nowadays wind energy is becoming a source of power generation. 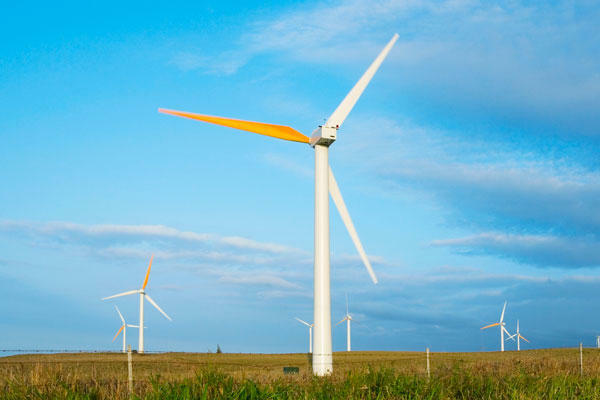 It is the type of energy that we produce by the wind currents, which are present in the atmosphere and this wind energy is captured by utilizing wind-turbines. These wind-turbines convert the wind energy into electrical and mechanical energy. The latest wind energy technologies are being devoted for developing efficient methods to produce electricity. The aim of wind farms builders is to replace the other sources for producing electricity with wind energy. There are some low pressures as well as a high pressure area in the atmosphere. The air blows from the higher pressure parts to the lower-pressure ports, in this way wind currents get formed. This situation is generally happening around the coastal areas, because they are very windy areas. Wind turbines are the machines, which convert this wind energy into the useful form. These turbines are basically generator, which front portion is fitted along with aerodynamic blades that rotate by the wind pressure. When the acquired speed of rotation gets, the generator starts generating power. There are three kinds of wind Farms: near shore, off shore and land wind farms. Near shore wind farm are built in water, they take benefit of wind traveling continuously in one direction; they are more effective than the land wind farms and solid energy production source. Offshore farms are installed 10 kilometers away from the land. Their construction and maintenance is very expensive, being near the ocean, wind turbines, can corrode by salt content. However, the oceanic winds travel quickly, so, these farms are effective for producing energy. Land wind farms are built about 3 kilometers inland. The scientists identify the places that get the more wind pressure. Wind turbines are adjusted in the wind direction for maximizing the energy generation. How can Wind Energy be Planet Friendly? Wind energy is environmental friendly and also free, in 2010, 40 gig watts free electricity produced in the United State. There are a lot electricity generating methods, but all have some drawbacks, like fossil-fuel power plants produce much more energy than wind energy, but they release million of tone carbon dioxide in the atmosphere. The wind energy is renewable energy. As wind turbines don’t produce pollution, so it is a clean energy generation source. If we built more wind farms, we can lessen the burden on other energy sources, which are creating pollution and causing global warming. We should keep in mind that all sources will finish one day, but the wind is undepletable source, so concentrate on it. 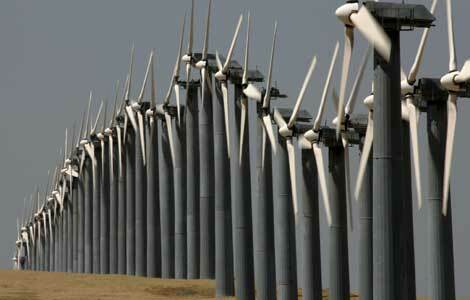 Though wind energy is environment friendly, but its initial cost is very high. It is also intermittent energy, because when the wind does not blow, generation of power is not possible. When the wind is not blowing wind farms remain dormant and when a gentle breeze blows the turbine speed is very low and they are not able to produce electricity to the grid. We can only use it as a supplement but not as a replacement.